Reconnect with your emotional, spiritual and physical balance by the ocean. We are sometimes referred to as the hidden gem of the Eastern coast of Bali. The Griya is a wonderful setting for a well deserved and long overdue “time-out” from the “hustle and bustle” of your daily life. We offer complete physical and emotional wellness treatments that will allow you to calm your mind and re-energize your body. 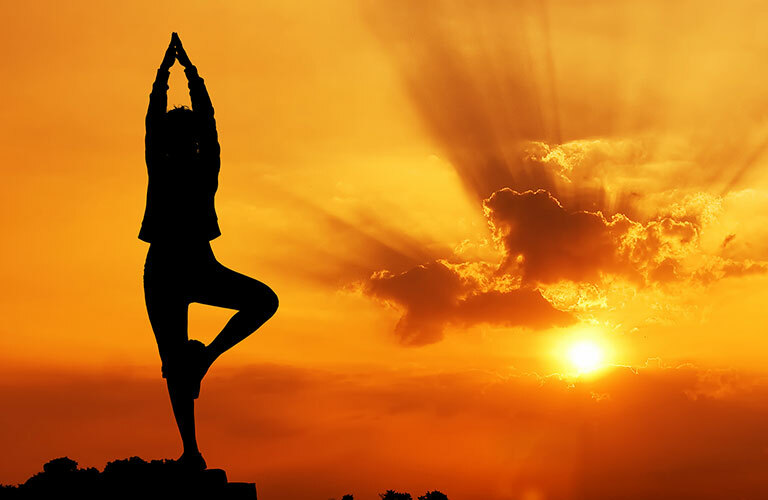 You will be given a chance to engage in yogic practices as well as in meditation and in other holistic activities. You can enjoy your favorite styles from a variety of disciplines guided by our expert resident Yoga Teacher. In addition to our group classes, you can improve your practice during a private 1-on-1 session 90-minute yoga lesson with her. Rejuvenate and find a sense of inner peace as you practice your asanas together, in the privacy of your own Villa, whether indoors or outdoors, facing the ocean. 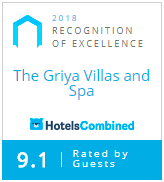 The Griya will also offers retreats which will host guest speakers and lecturers from around the world who come to Bali to teach and pass on their spiritual wisdom. After an intense yoga session, why not pamper yourself to a few very special Spa treatments, which with you will leave feeling reinvigorated and renewed. Later in the day, you can get a full body workout in our Gym before relaxing with a fruit smoothie in the pool overlooking the ocean. Our sessions can be aimed for beginners as well as for seasoned yogis. Our Yoga teacher will always adapt the session to the level of the yogi’s who are attending. Not sure if you’re fit enough? Not only is yoga is totally harmless, accessible to anyone but most and foremost, you will reap countless benefits from this practice, both physical, mental and emotional. You are very welcome to come and try it! If you’ve never done yoga before, your first session is on us. Our beautiful air-conditioned studio offers a private, intimate and sacred space for your yoga practices and meditation sessions alike. It is niched right next to our beautiful and lush garden, which faces the ocean as well as the island of Lombok to the East. Imagine doing your early morning session in the garden, while enjoying a stunning sunrise over Lombok! Should you want to be closer to the water, our Yoga Teacher can take you to the nearby beach at sunrise or sunset for a group or private class. We offer Yoga classes 3 days a week in our brand new Yoga Studio. Pre booking is required.